With a 1-1 week, Cloud9 are looking to be a top team to compete with the rest of the league. Their win against 100 Thieves put them on the board and gave some confidence back to the team after their defeat against Team Liquid. 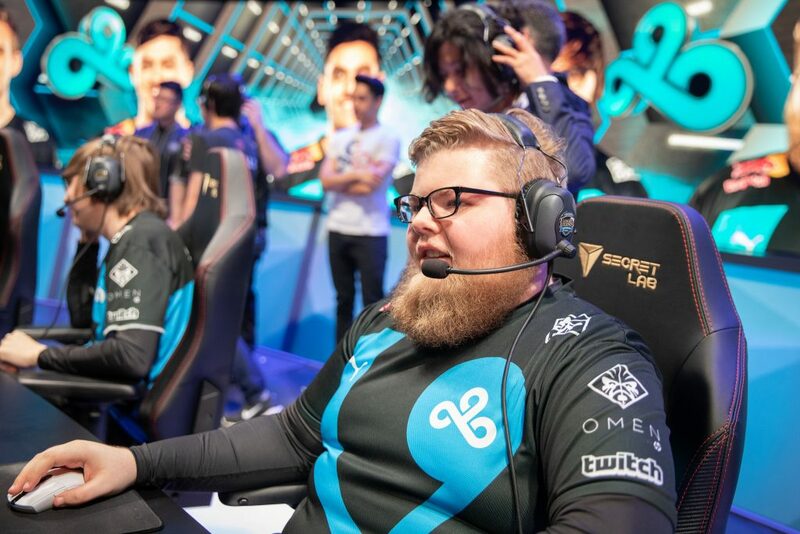 Esports Heaven got a chance to speak with Zeyzal about his developed playstyle, the bounty system, drakes, supports in the meta, his new teammate Nisqy and the power of the honeymoon phase and synergy. You just beat 100 Thieves and you were personally all over the map, especially in the top lane. You did that ult to split 2 people. Is this something you have been focusing on recently as far as trying to roam more? I think roaming more has been a priority of mine. I’ve been trying to focus on impacting the map in some way, even if that means I have to match the enemy support. In this case it wasn’t because we had a numbers advantage in my move, it’s just that instead of playing through my own lane, I’m trying to help facilitate my team getting an objective on the opposite side of the map if I can, even if it’s 4v4 and the only people isolated are the ADCs. What do you think about the new bounty system? People have a lot of different opinions about it, some say it’s good others say it’s just a comeback mechanic for the team that’s losing. What are your thoughts in general about bounties and getting gold? The game is in a really weird position because of it, firstly because baron buff is insane right now, you just don’t win when they have baron. So first, they get a huge gold lead from baron, and if somehow you survive their baron, they are all going to have like 1K bounties. So if you ace the enemy team, you could potentially get back all the gold they made from baron and you already get EXP. I think bounties don’t really make sense. I don’t know what Licorice was this game, but he had 0 kills and he had like a 550 gold bounty at the end. I was like, I guess they get rewarded for killing our top laner who has no kills? It’s based on average gold since your last death, so it’s almost like you can keep focusing someone like the top laner who is 0/3 and eventually you can get a bounty since they are winning. So, I think it’s in a weird position since it doesn’t really follow the flow of the game, you can almost avoid their strongest members until you’re stronger so that if you do ever kill them then you get a huge reward, which is nice, but it’s so much gold and not really anything much more. What are your thoughts on dragons? Dragons are worth more in terms of stats, especially the Infernal Drake which everyone is frothing at the mouth to get. This must increase the pressure on the bot lane to perform well? Today we took our first dragon quite early and historically, if you look at the stats of Cloud9 since I’ve joined has had pretty bad dragon priority. We almost never invest resources in taking it, but now dragon is so strong that if a team doesn’t invest resources, in certain cases it depends on the dragon, but I think they’re going to be at a disadvantage even in the early game, which is the weird part. In the past, dragons have been scaling, it’s like you get the Mountain and you get baron at 20 minutes, or you can 2-man it at 25 minutes. Now it’s like, you get Mountain, the turret plates and how they work, they scale armor as you’re taking plates off, but Mountain Drake is so strong early, your true damage will be higher than your actual hit on the turret during the last plate. So, every dragon is valuable now, specifically the first dragon, and I think it promotes a lot of fighting early, which is quite nice for the game. With the bot lane and trying to have priority for the dragon, a lot of fans and community players are saying that supports have a little bit too much gold and damage right now. Do you think this is true? Do you think supports are at a really OP status? I have been feeling pretty strong as a support. So, for example, if Nocturne goes on me in the river, I can fight him as long as it’s 1v1, he doesn’t have the damage to kill me. Usually who supports fight are the jungler, ADC or supports, which are all weaker, so it’s kind of like battle of the idiots down there. Whoever slapping each other probably can’t solo kill the enemy. So I think support is in a good place where it can’t be solo killed by the jungler. For example, facing TL, when Xmithie was trading sides in our bot side jungle, I was just running at him as Alistar. He’s a level 3 Lee Sin, he’s never going to kill me. Even without the gold it’s kind of how the game works. The only lanes that can shred a support are mid and top and occasionally if the jungler is ahead. I wouldn’t say it’s because there’s too much gold and I would say that bot lane priority still comes down to both matchups of ADC and support. I would say support is in a fine place right now, but in solo queue it does feel a bit oppressive because champions like Zyra, Rakan, Leona all can so easily take over a game if they get ahead. Let’s talk about your mid laner. First impressions of Nisqy? Difference in style from Jensen? What are your thoughts on Nisqy so far? Comparing Nisqy to Jensen is very hard in terms of play because they both excel at the same thing. They both have good laning phases and Nisqy in Korea was holding his own against top 5 LCK mids and Jensen could do the same. They have a bit of a difference in how they communicate. Jensen was very vocal about what he needed, we joked around about it all the time. It’s like, Jensen was the kind of player that had 3 wards on the map right below him. Jensen’s like, “guys I think we need more vision”. Well, Jensen we’ve got 5 wards on the map, we can’t get anymore (laughs). He’s like, “oh ok. Can someone hover for me then”? You’ll do it cause it’s Jensen and he’s good in lane. Nisqy is more self-sufficient. He’s good in lane but he will also concede pressure and won’t say anything. I’ll come through mid, drop a couple wards and he immediately takes the pressure back. He focuses on his own play and does what he can with what he’s given, whereas Jensen was a lot more vocal about what he wanted to pressure his leads. In terms of comms, Jensen did that better, but in terms of conforming to his team’s needs, it feels like Nisqy is better at that. Jensen focused more on himself and when we played side lane with Jensen specifically, we would always hover his side. In pro play, once baron is up, there’s a strong side and weak side. Generally, Jensen would have to be the strong side, which meant Licorice couldn’t always be on the strong side. Now we’ve almost got an option to choose either and Nisqy will adapt and play around it to the best that he can. It’s still a work in progress but I think we can do both now much easier than before. Cloud9 is one of the rare instances where the roster hasn’t changed a lot of pieces. So it comes to the argument of, which is more powerful, honeymoon phase or old synergy? People are looking at C9 and saying they’re probably going to do well early in the Spring Split because they haven’t changed many pieces. So, what’s your opinion on the difference between those two? C9 Last year had a bunch of players swapping in and out, so there was this constant honeymoon phase because of the new players, but now it’s more old synergy. So what’s the difference in strength of honeymoon phase and old synergy?